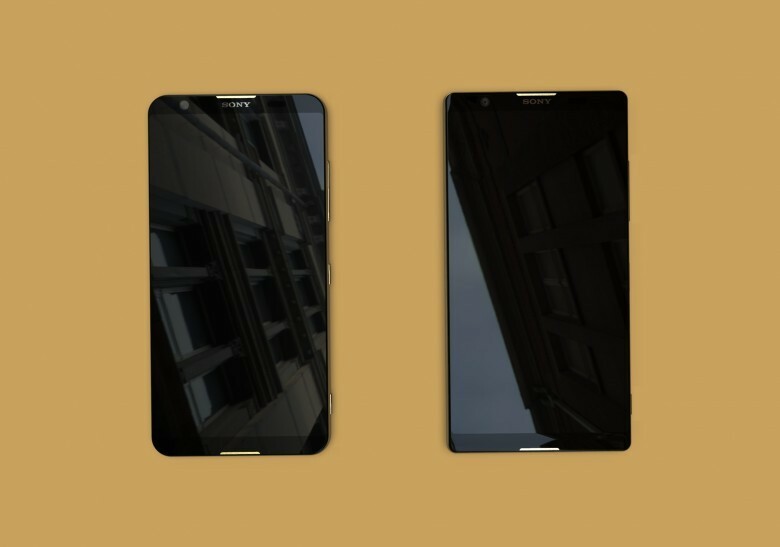 Japanese smartphone maker Sony is now jumping into the bezel-less display trend and this is evident after looking at the new leaks of its upcoming phones. The fresh leaks reveal two new Xperia phones with minimal bezels and a Sony signature premium look. Vortex has reported with the images of two new Sony Xperia devices shown with toned down bezels at the front, and stylish looks at the back. Both devices are shown sporting dual front-facing speakers and expected to be the company’s next flagship devices. With the new Sony Xperia lineup, the company may be moving bezel-less early next year. The looks and styling of both the devices show the possibility of these being flagship phones. One of the phones features a dual camera setup separated by the LED flash in the center. The same device also showcases a glass finish back. 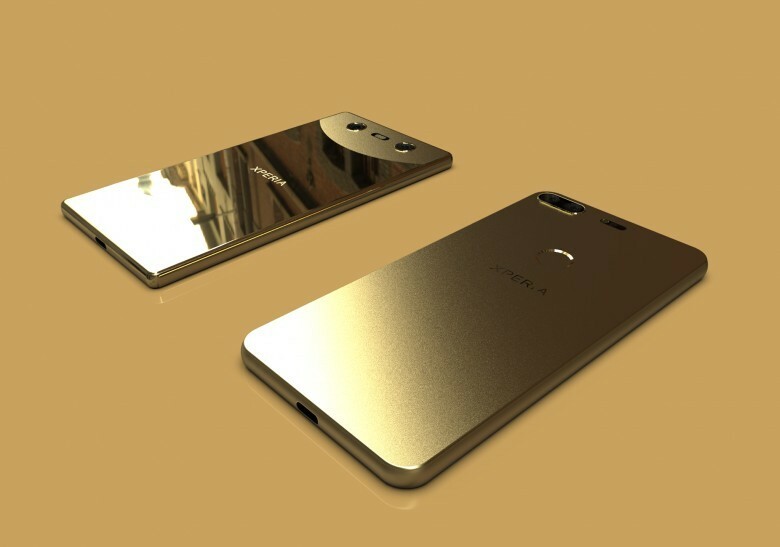 The other device is shown sporting a matte gold color unibody with a sleek design. Coming to the front, both the Sony Xperia phones are packing dual front-facing speakers. The bezels are toned-down on all sides of the device. Both devices have the dedicated shutter button found on all Sony phones. Also, the matte finish device is shown with a rear-mounted fingerprint sensor, eliminating the biometric power button. The phone with glass finish has the Sony-styled square body but the other phone features rounded corners. This also indicates the possibility of a new design language from the Japanese phone maker. In terms of specifications, we are expecting these devices to be the Xperia flagships next year. If that turns out to be the case, we may see a Snapdragon 845 processor on these phones. There are rumors that the next Sony Xperia flagships will come with 5.5-inch 4K resolution displays. We can also expect wireless charging on the phone with glass finish back. Both phones are shown sporting Type-C ports which indicate at fast charging. We can also expect Android 8.0 Oreo out-of-the-box.